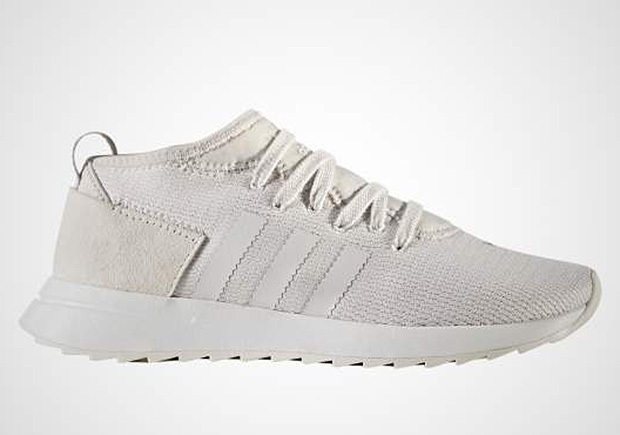 Late last year adidas dropped a new women’s lifestyle sneaker called the Flashback, and now the shoe is back again in a modified mid-top silhouette for the FLB Mid. Constructed in Primeknit, the sneaker loosely inspired by the vintage adidas Dragon features a woven upper with neoprene paneling at the tongue area and a suede heel panel. The FLB Mid debuts in three tonal colorways of black, grey, and off-white, and will arrive at select adidas Originals retailers soon. A modified version of a lifestyle sneaker Adidas released last year called the Flashback, The New FLB Mid returns to the market as a modified mid-top silhouette. Inspired by the vintage adidas Dragon, the shoe features a woven upper with neoprene paneling on the tongue. 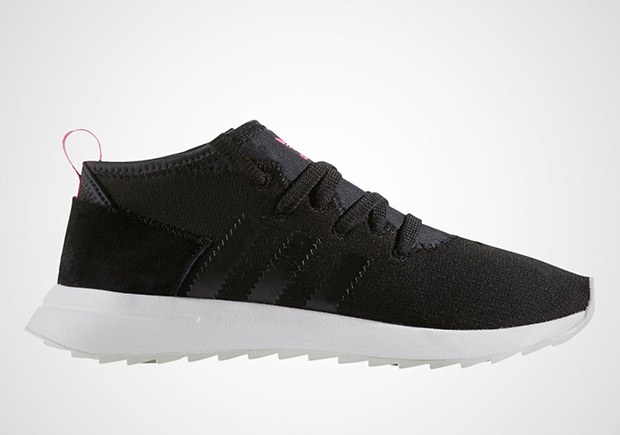 Constructed in Adidas’ signature Primeknit material, it’s contrasted with a suede heel panel. The FLB Mid debuts in three colorway; black, grey and off-white. Release date has yet to be confirmed, but you can expect it at your local Adidas Originals retailers soon.